Read your mail from anywhere! Are you Caverly or are you interested in having an email address with the @thecaverlys.com extension? Let us provide you with one. Do you need a web page? Make you internet presence know and let TheCaverlys.com provide you with your very own homepage. You can use it to share family photos or news. You may even use to help in the research of your family roots, the choice is yours. The address for the home page would be yourname.thecaverlys.com. Let TheCaverlys.com design your web page. TheCaverlys.com can design and build your web page free of charge. Just give us the information you would like to see on the site and let us do the rest. 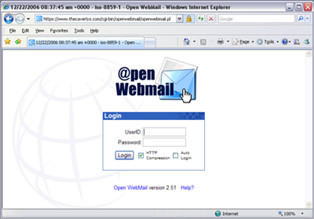 Do you need to quickly communicate to someone over the internet, use our chat room. Simply choose a nickname and begin chatting with those long lost relatives. Do you need a central place to communicate? 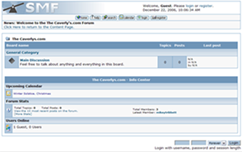 Use our forum to talk with others. Find others that may help you solve those ancestral riddles and questions that you have. Ever wonder where you came from? We have genealogy information about the Caverly surname and links to help you start your journey into the discovery of you roots. Please leave a comment about your visit. Copyright 2007 TheCaverlys.com. All Rights Reserved.